That distracted boyfriend meme certainly is one for the ages, isn’t it? It certainly is for this year. The boyfriend is with his girlfriend, but he’s got his sights set on another. And on the heels of David F. Sandberg doing the same with his new Shazam!, Superman, and Batman toys, now we’ve got fans of Aquaman and Mera doing the same with the film’s release upon us in a little under two months. 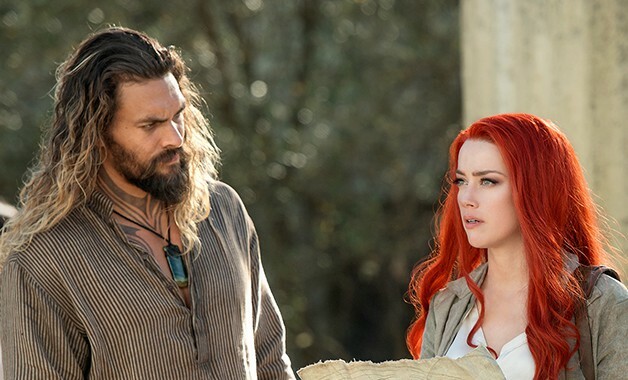 In an image shared by comic writer Tom Taylor on his Twitter, we see two people dressed as Amber Heard’s Mera and Jason Momoa’s Arthur Curry, but Mera is suddenly distracted by another Aquaman. The classic Aquaman, decked out in the bright orange and green and riding atop two dolphins. It should be noted that the Momoa Aquaman isn’t dressed in that look we’ve seen in subsequent trailers, but in the armored look seen in Batman v Superman: Dawn of Justice and Justice League. Perhaps Mera has a taste for the original. Here, have a look at the Aquaman-inspired distracted boyfriend meme in the image below. Now again, based on recent trailers, we’ve seen that Momoa will indeed don the classic green and orange comic-inspired design in James Wan’s upcoming film, but perhaps, for the sake of the image, this new Aquaman should have dressed up like that instead. That way, maybe he’d have less competition from the first Arthur. And what about Mera? Who will she ultimately pick? What do you think? And in light of James Wan revealing that Momoa will wear the classic design, how well do you think it’s translated to screen so far? Let us know your thoughts in the comments below. That was amazing! Thoroughly enjoyed that video with the allegories. Just another exercise in pseudo-intellectual masturbation masquerading as something deep and profound. Hey Marquis! Why do you care sooo much about the DCEU instead your beloved MCU? It’s like he spends all his time looking for pseudo intellectual elements to throw into his movies, in the hope that people will confuse it as something deep, instead of developing something new or enjoyable. 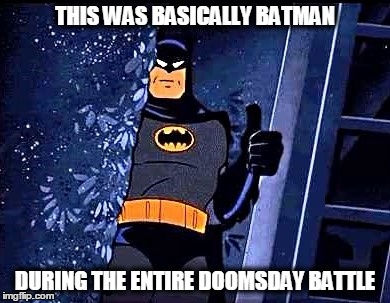 The 1% being an absolute certainty in Bruce Wayne’s eyes springs to mind. Or Lex’s Daddy issues being more about Gods instead of his Dad. You cannot deny that DCEU fans love the properties, despite critics and some fanboy hate the films have powered to more success than the MCU (1st films against 1st 3) and their fans make rap songs, memes, videos, analyses, video essays. Sebastian this is another one from another DCEU fan. Dude, what’s your Twitter handle? Mark my words: time will pass, & people will grow a newfound appreciation for the DCEU. Meanwhile, people will look back on the Marvel movies, & start questioning what it was that they liked about them in the first place. I have no idea what he said, but I’m pretty sure it was dumb. It’s already happening. Iv been looking back on MCU films and I find that they have very low rewatchability factors. Man of them seem worse and worse the more you think about them. You can put lipstick on a pig, put it in a Jovani dress, and throw some jimmy choos on it’s feet…..But it’s still a pig and it’s always going to be a pig. This is what I keep telling your mom when she begs me to take her shopping. I am honestly watching every single non-election video I can find to escape reality, and this one helped a lot. cosplayers: King Tide Cosplay, Boss Boss, Onyxeia.